Online poker cash games (occasionally referred to as "ring games") are huge. It's the most popular way to play online poker for real money in 2019, with the no limit Texas Hold'em variant getting the most action. So, where are the best places to play poker cash games online? Top 5 poker rooms for cash games 2019. Note: $2NL is just another way of writing 1c/2c no limit hold'em. The number in this "$2NL" format indicates the maximum 100bb buy in. What makes for a good cash game poker room? Player traffic. More players = more action. Volume and variety is always a good thing in online poker, especially if you plan on multi-tabling. Level of competition. If you're playing poker, you want to play against the worst players possible – that's how you make money. Some poker sites are softer than others. Wide range of stakes. Although every site has a decent range, some sites do not offer the super-micro stakes of $5NL or lower, or high stakes games of $400NL+. Professional software. You want to play at a poker room that takes the game as seriously as you do. When you're playing for real money, the last thing you want to worry about is sluggish or buggy software. If you're a Mac user you'll want to check that your chosen poker room is Mac friendly as well. Multi-tabling. One of the best aspects of playing online poker cash games is the ability to sit down at multiple tables. The maximum number of open windows (tables) varies from site to site, so you want to be sure that the room you're playing at can accommodate your needs. Features. Not totally essential, but it's nice to have stuff like the 4 colour deck and general table customisation options. Low rake. This isn't an issue these days as the rake taken from cash games is virtually equal across all the major online poker sites. Used to be a consideration a few years ago, but 5% rake from each pot is now the standard. That's all the essential stuff to look at when looking for the best cash game poker site. It's also worth noting that I ranked these factors based on importance. Therefore, I wouldn't play at a poker room for its cool features if the player traffic is abysmal. Why cash games are cool. I love cash games. I really do. Titanic Poker Scene – If Jack didn't win his Titanic ticket in a cash game, he never would have gotten on that boat, and this film would have been a lot less interesting. Judge's Game Scene in Rounders – A bit over the top, but that doesn't stop it from being as cool as eskimo pie. Unfortunately though, another scene from this film made it in to my top 5 misconceptions about poker in film. Cool Hand Luke Poker Scene – Proof that bluffing makes you awesome. What do all these scenes have in common? Money. Real money. None of that tournament business with frilly pretend-money chips. Cash. Man cash. Playing cash games will allow you to be that cool old man who tells stories to grandchildren about how you won crispy money in ruthless games of poker "back in the day", whilst puffing away on your homemade tobacco pipe. That's why cash games are cool. Imagine how sophisticated you will look with one of these bad boys. Full Ring and 6max are the two main variants of no limit Texas Hold'em cash games. So what's the difference? Literally, the only difference between full ring and 6max is the number of players that can sit down at the table at a time. If you took 3 seats away from a full ring table you would be left with a 6max game. The differences between full ring and 6max. Even though 3 extra (or less) seats is the structural difference between these two cash games, it actually has a significant effect on the way these games play. Here's a summary. FR: Tighter. You can afford to wait for more premium hands as the blinds come around less frequently. 6max: Looser. You have to be prepared to use skill advantage than card advantage to win money. FR: Lower. You can play the situation more than the player. It's less important to adjust to exploit specific players at the table. 6max: Higher. Fewer players makes the action more personal, so you need to be able to understand your opponents more. This also means you have more opportunities to exploit bad players. FR: Lower. FR is less "swingy" than 6max, which some players will prefer. 6max: Higher. Looser action means that more money gets put in to the pot more often with varying hand strengths. FR + 6max: The slight majority of players agree that 6max can be more profitable than FR. This is because bad players are more "exposed" in 6max thanks to there being a fewer number of seats at the table. However, the tradeoff is that you need to have more skill to beat 6max and the variance is greater. Which variant is best for me? Play full ring if you don't mind sitting back and being more selective with which hands you play. It's a slightly more relaxed game, and the variance is lower than on 6max tables. Play 6max if you like to play more hands and your are comfortable with your postflop game. You have to be prepared to deal with a higher level of variance though. I guess you can think of full ring as being slow and steady, and 6max as faster and more action-orientated. I definitely wouldn't say that one is better than the other though – both games are profitable if you know how to play them well. Just choose the format that you feel suits your playing style the best. Learn2Holdem.com has a nice comparison article on full ring and 6max. Play money vs real money cash games. The play money tables are hugely popular. 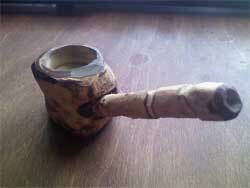 They can also be a barrel of fun – if you're 12 years old or something. There is a tremendous difference between playing for fun and playing in $2NL cash games. Sure, you might argue that playing $2NL is virtually playing for fun, but the reality is that the quality of play between these two games is unrecognisable. If you've played in both micro stake cash games and on the play money tables you'll know exactly what I mean. If you haven't, you're missing out. Playing for real money is far more exciting, even if it is only for 1c/2c stakes. If you truly want to experience online poker cash games, play them for real money. High Stakes Poker (tv show). High Stakes Poker is a TV program on GSN. If you love ring games half as much as I do I'd give it a watch. The show films professional poker players playing in a high stakes no limit Texas Hold'em cash game. It's immensely entertaining, and it's the best poker TV show out there by a long shot. What I love about HSP is the fact that it's a real game of poker. It's not a fabricated tournament where players just put on a performance for the cameras – the players on HSP genuinely care about the money in front of them, which makes for a fantastic showcase of talent. You may be able to find a bunch of HSP episodes on PokerTube.com. Tom "Durrrr" Dwan is widely regarded as one of (if not the) greatest cash game players alive. 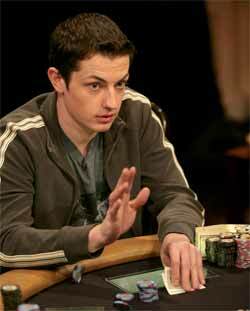 Tom Dwan (Durrrr) – The epitome of high stakes online poker. Plays the highest stakes HU cash games around and has gone through some of the biggest swings ever witnessed in online poker ($3 million+ each way over a matter of days). Still a huge winner overall though. Phil Ivey – One of the greatest all-round poker players ever. Has won over $15 million playing online poker alone. Patrik Antonius – Highly respected HU NLHE player. First player to participate in the Durrrr challenge. Viktor Blom (Isildur1) – Relatively new name in online poker, but won a ridiculous amount of money from top players like Durrrr and Phil Ivey throughout 2010, winning over $5 million in total at his peak. Doyle Brunson – Even though he's most famous for his WSOP bracelets, cash games have always been his bread and butter. Although all of these guys are exceptional NLHE players, they also tend to play a lot of PLO online. Still, they're both cash games, so it's all good. I can't give a well-rounded strategy on how to beat online poker cash games in a few short sentences, but I can throw some essential tips in your direction. Stick to good bankroll management. Always have at least 20 buy-ins for the stakes you want to play at. If you don't, you're setting yourself up for a fall. Try multi-tabling. If you're already good at poker, this is the easiest way to increase your winrate. Table select. Online poker gives you the fantastic opportunity to select which tables you play at, and the choice is plentiful to say the least. If you know that there are bad players at certain tables, sit at those and win more money. Use stats to help you with decisions. Download and start using Poker Tracker before you play another hand of online poker. Stats (e.g. VPIP and PFR) give you a tremendous edge over your opponents, so why aren't you using them? After this it's all about playing your socks off and learning as much strategy as you can. My strategy articles and strategy videos are decent places to start. After that, look in to paid training – it's worth it.